RETAIL SALES SHOWED that we spent less on clothing, books and furniture in April compared to the same month last year – and Retail Ireland has said it is worried at the news. The figures are contained in the latest CSO results, which show that the volume of retail sales increased by 0.2 per cent in April 2013 when compared with March 2013, but that there was a decrease of 0.5 per cent in the annual figure. If motor trades are excluded, the volume of retail sales decreased by 0.3 per cent in April 2013 when compared with March 2013 and there was an annual decrease of 0.3 per cent. The sectors with the largest month on month volume increases are books, newspapers and stationery (+8.7 per cent ), electrical goods (+2.6 per cent) and motor trade (+1.7 per cent). The sectors with the largest monthly decreases were food, beverages and tobacco – specialised stores (-4.5 per cent) and department stores (-3.6 per cent). Retail Ireland, the IBEC group that represents the retail sector, said the figures showed the second consecutive annual fall and pointed to the serious need for a set of actions to help the domestic economy. These figures are very worrying. We are now seeing a reversal of the trend in overall sales growth that we saw late last year and earlier this year. The worst hit sectors in April were clothing (-5.8 per cent annually), books (-5.2 per cent) and furniture (-5.1 per cent). It wasn’t all bad news, however. Supermarkets, department stores and electrical outlets saw increases in sales. 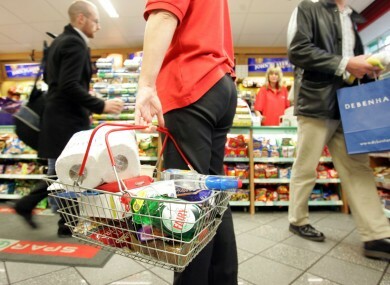 Prices are down across the board so consumers can avail of huge value in shops throughout the country. Lynam said that an inter-departmental group on retail, announced as part of the Action Plan for Jobs, “must come up with proposals to stimulate the domestic economy and tackle issues like high retailer costs”. The number one priority for the Government from now until Budget season must be to give consumers hope and a reason to start spending. Until that happens, the domestic economy cannot hope to see growth. Email “"Worrying figures" show we spent less on clothing, books and furniture in April”. Feedback on “"Worrying figures" show we spent less on clothing, books and furniture in April”.